As all of you may know from my blog posts here and over at my Instagram, I’m crazy about washi tape. 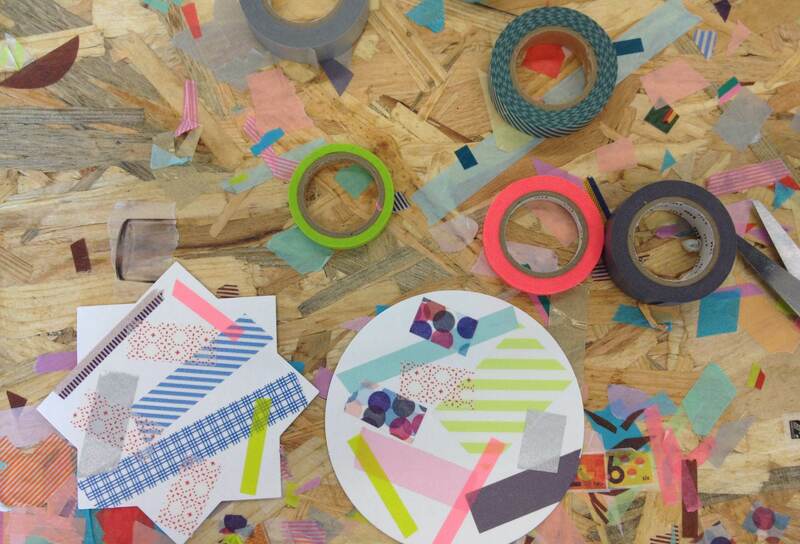 My love for washi tape knows no bounds, and I incorporate it into my daily life whenever and wherever I can. 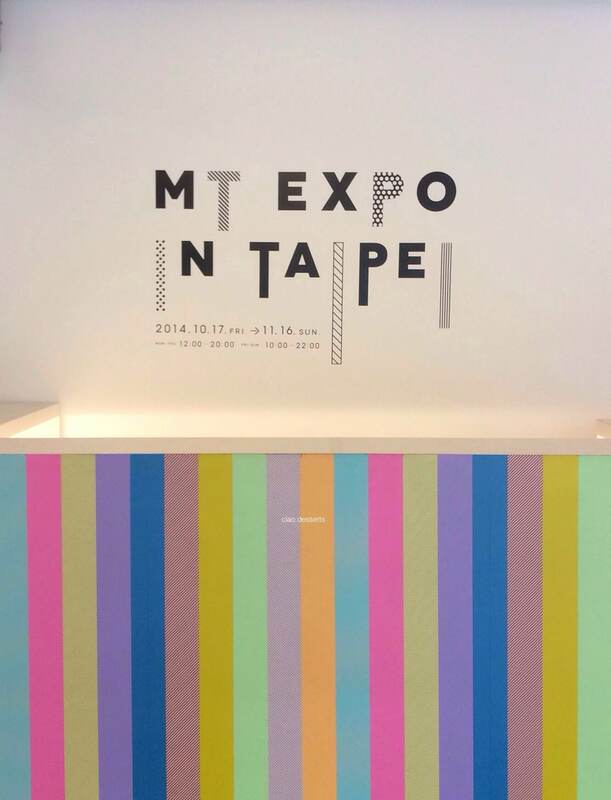 So, I was thrilled to learn back in August that one of my favorite brands of Japanese washi tape, MT was putting on their first major exhibit overseas right here in Taipei! A few days before the beginning of the MT Expo in Taipei, the organizers brought out this adorable video on YouTube. Wow, from the video, it really looks pretty crowded… but I’m happy to report that I did not experience those crowds at all. I visited a few days after the grand opening, and everything was a lot calmer then. If you are in Taipei, the exhibit is open until November 16th. A lot of people don’t really understand my washi tape obsession. I’m often met with a puzzled expression and the words “it’s just tape?” Sigh. It’s not just pretty tape. (Although, it’s perfectly acceptable to like something just because it’s decorative) However, washi tape is a perfectly functional tool. While not all brands are created equal, the tapes by MT are actually pretty durable. They are waterproof, reusable, and can be stuck firmly to a variety of surfaces. I personally think that if adding a bit of tape to a otherwise mundane surface can make it more cheerful looking, then why not? 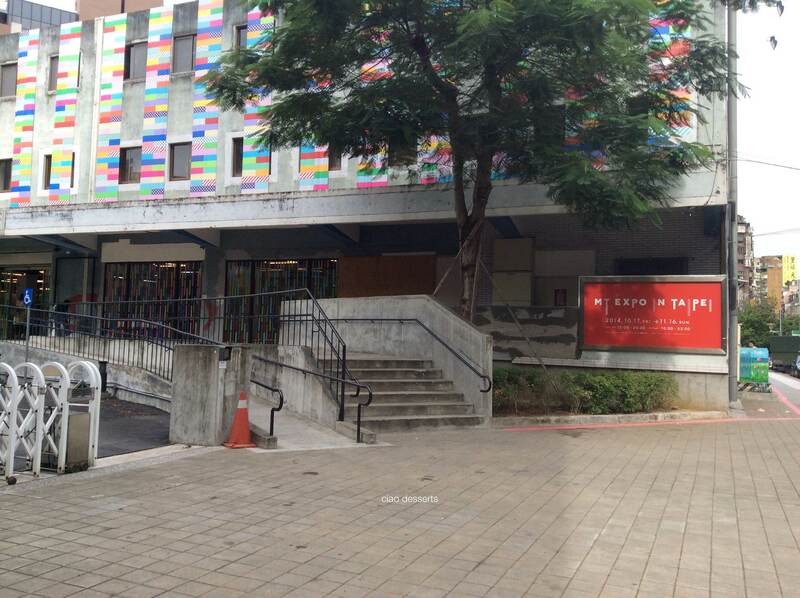 For example, MT tape was able to transform a fairly glum concrete redistribution center into a colorful exhibition ground. Even an ordinary city bus looks much more inviting with covered with swaths of multi-color tape. 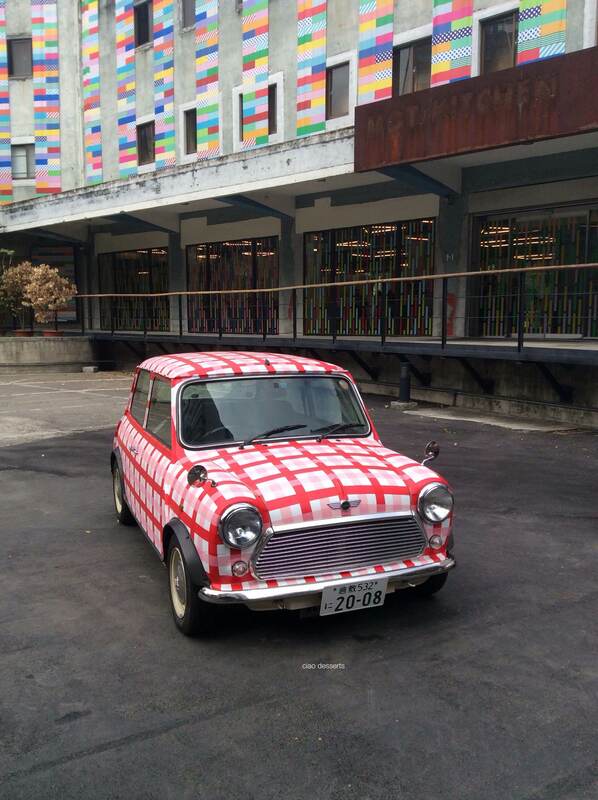 If my car ever needs a new color, I’m going to skip paint and just cover it from bumper to bumper in washi tape instead! Anyway, onto the Expo! The Expo is located inside an old warehouse/distribution type of building. 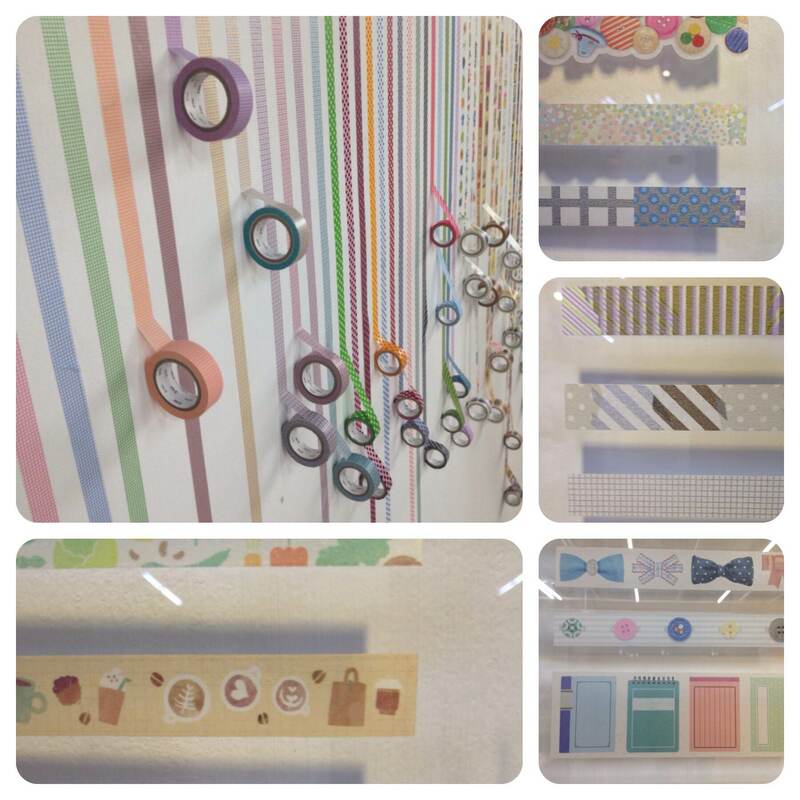 There is plenty of wall space and floor space to display all the washi tape. 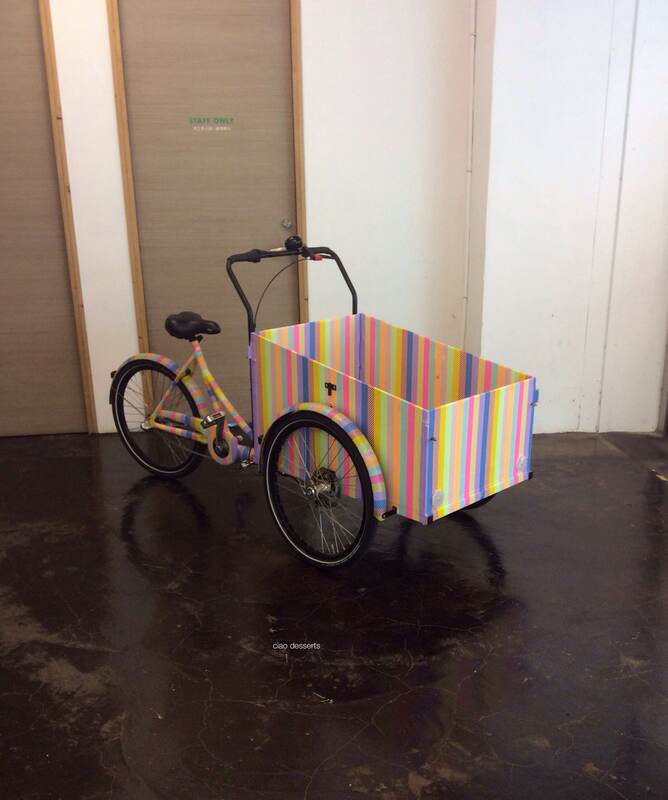 One of the first items you will see once inside the building is this vintage bicycle, decorated with washi tape, of course. Once inside the main building, I headed straight upstairs first, for the displays and for the MT Shop. 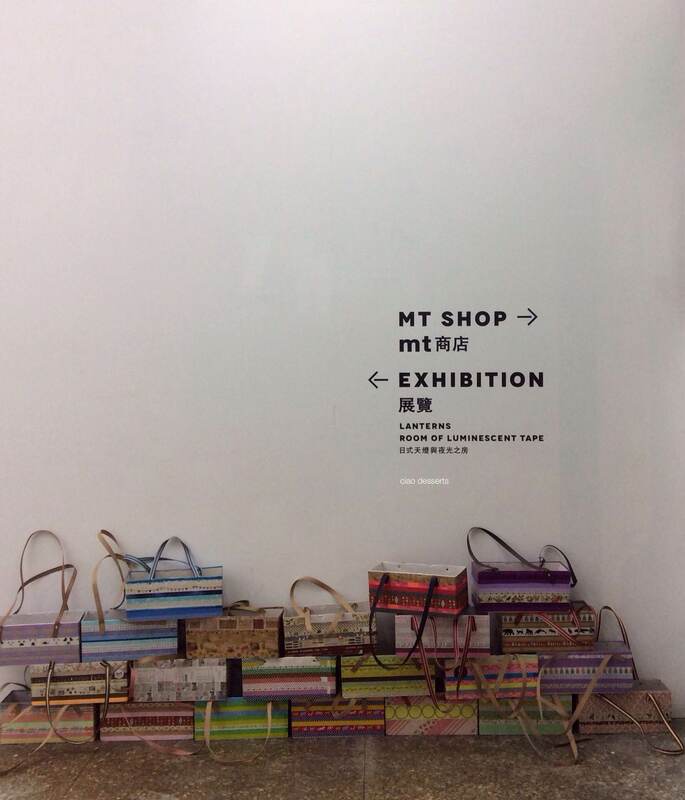 Most of the people were concentrated in the MT shop, so I made my way into the exhibition sites first. 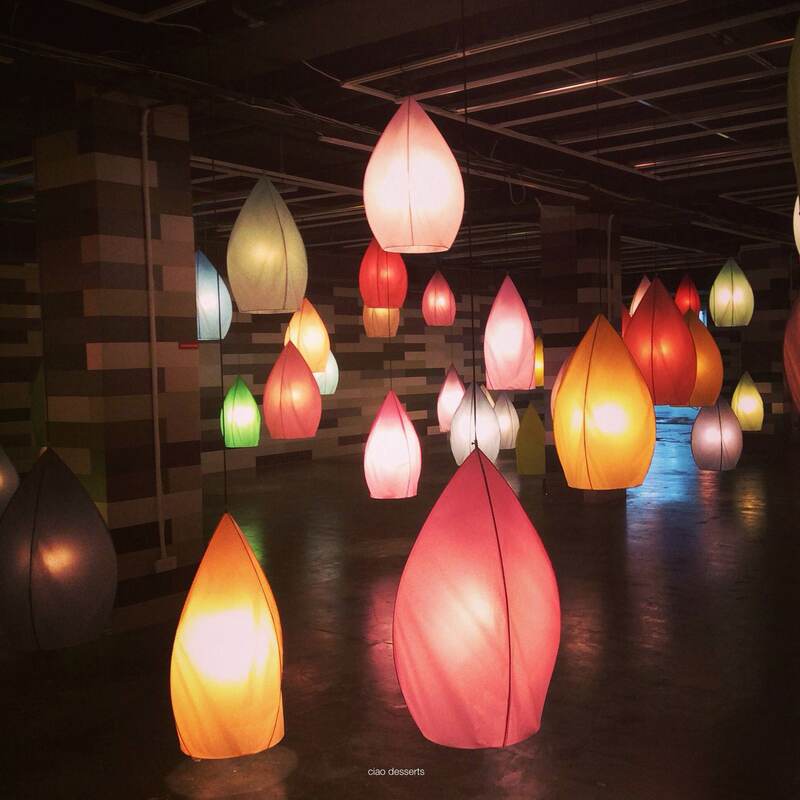 I was enchanted by these Japanese lanterns made from washi tape. I wish MT would produce these commercially~ I would really love to have a few of them in different colors and patterns in my home. After enjoying the lanterns, I walked next door to the MT shop. The crowds had mostly dissipated, and it was fairly easy to walk around. 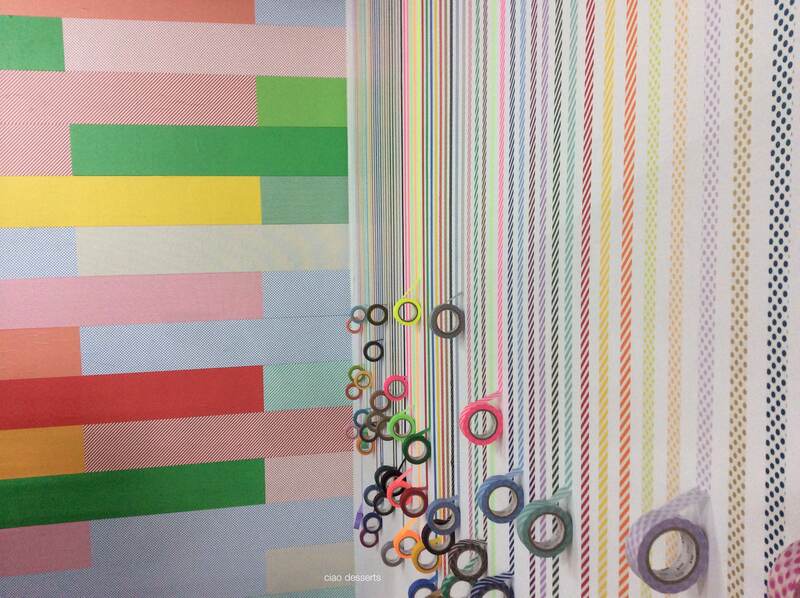 Several of the walls are covered with rows and rows of washi tape. But my eye was first caught by this machine! 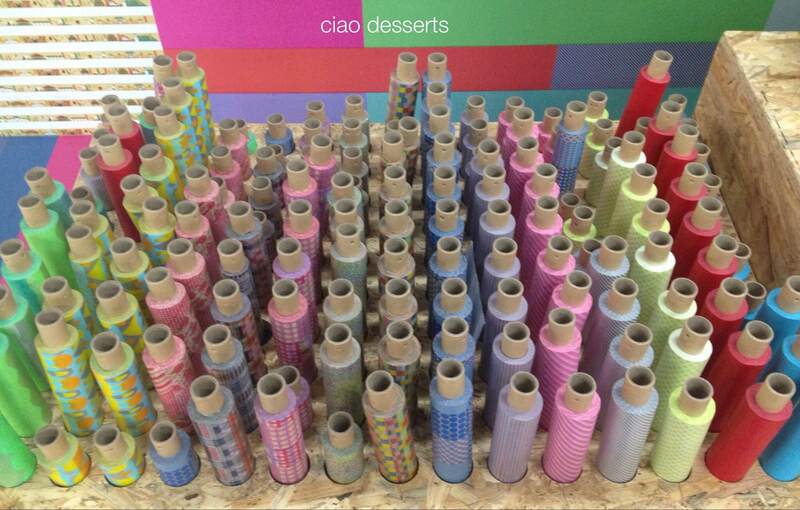 At the exhibit, you can order some special widths of washi tape, from the rolls they have on display. Since I’m a huge fan of the super skinny tapes, I was happy to find that I could order a selection of different patterns to add to my collection. You fill out an order form, then you prepay for the tapes and shipping from Japan at the cash register. The order doesn’t actually arrive from Japan until January or so, but that is fine with me, because I’m sure I’ll totally forget about it, and it will be nice to receive a “surprise” in the mail. I think the prices are fairly good for the different widths; the majority of my order was for the skinny tapes (3mm) and they were only $20 NTD per roll. The rest of the widths (10mm) and (24mm) were also reasonable; about the cost of the precut, prepackage washi tape. Die hard tape fans may recognize these patterns from past seasons, but that didn’t bother me at all. 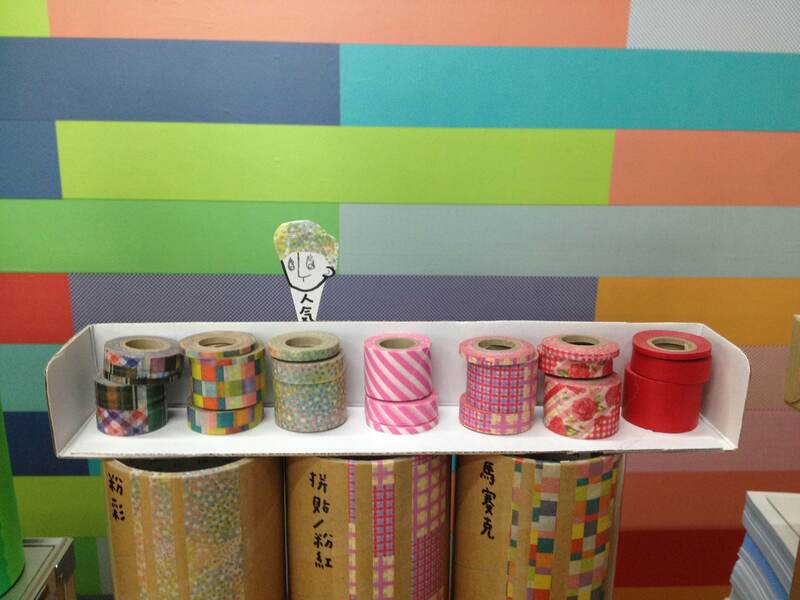 I absolutely loved seeing all of these rolls of washi tape on the walls. I included a few of my favorites here to share with you. The magical words to any collector’s heart are “limited edition.” And there were so many of them to be found here! 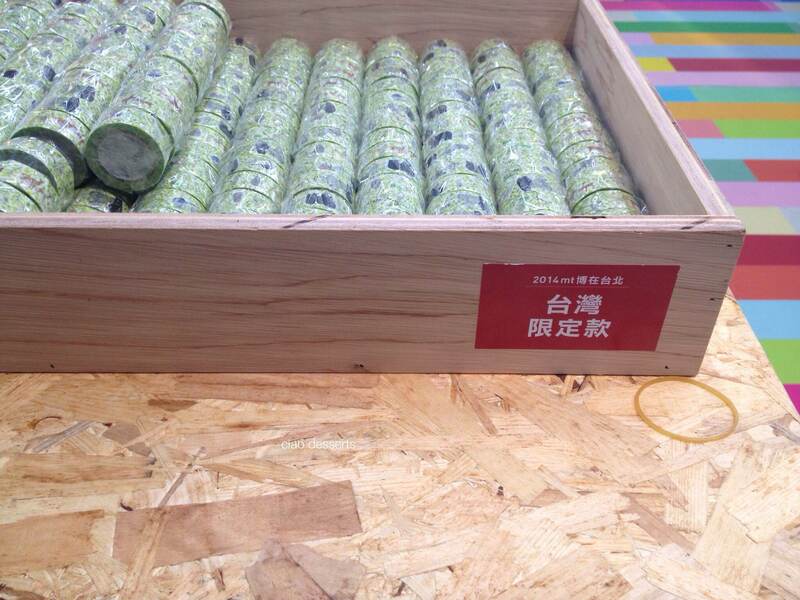 There is a range of limited edition tapes, only available in Taiwan. I bought the four rolls that caught my fancy, and just admired the others. 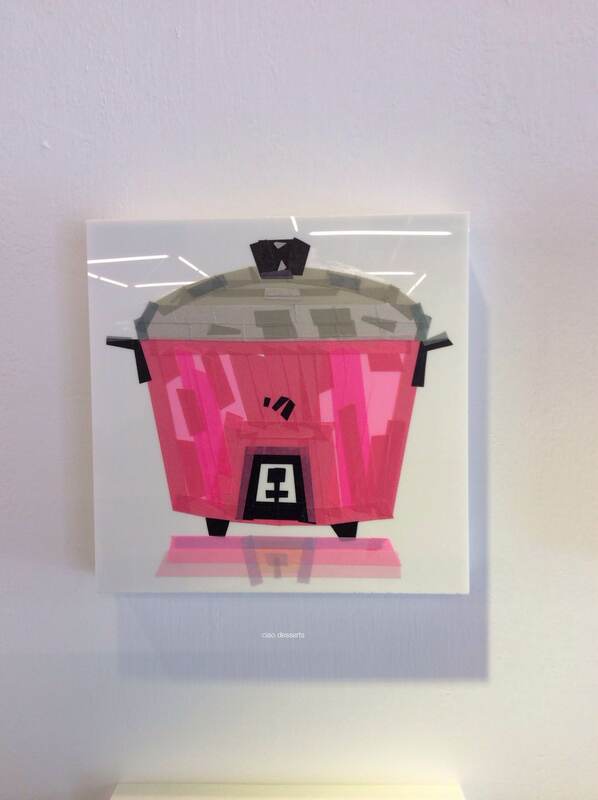 There is also a range of reproductions of MT’s classic designs. In addition, there were also several tables of this season’s new tapes. One of my other favorite parts of the Expo was the display of the machines used to make the tapes. This is one of the old machines they brought over from the Japanese factory. I was surprised that it wasn’t under lock and key, or at least an acrylic display case. But I really relished the opportunity to see one of these machines up close. See how even one of the steel bands (?!) is an intricate pattern? 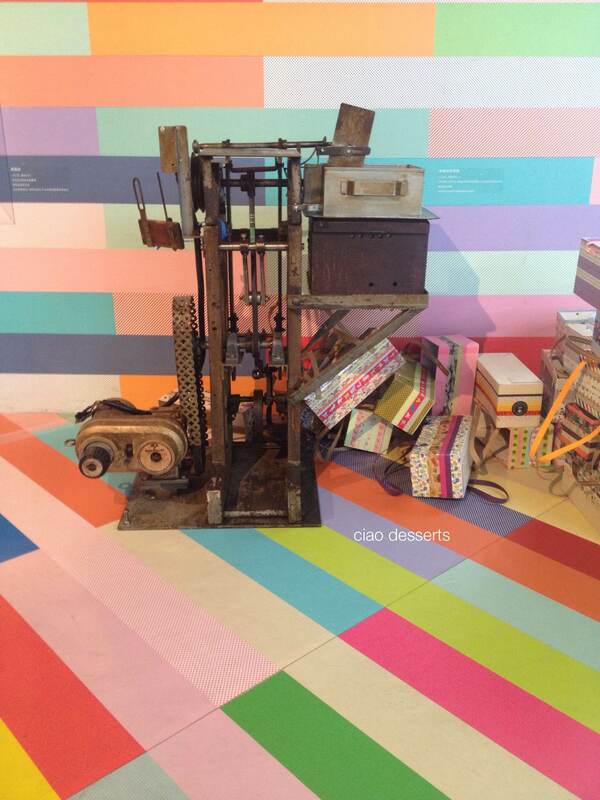 Another part of the Expo that I enjoyed was seeing such a riot of patterns and colors everywhere. 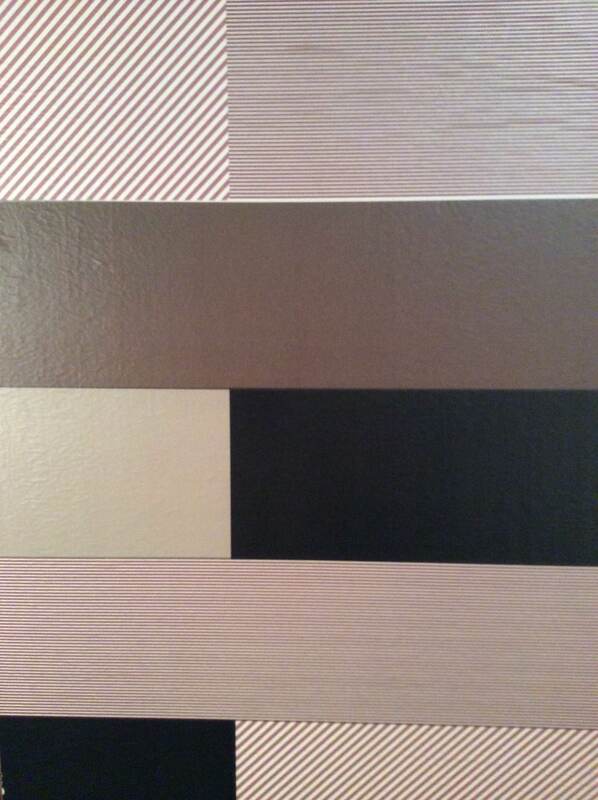 Some colors and patterns that I wouldn’t thought would go together seem perfectly happy here. 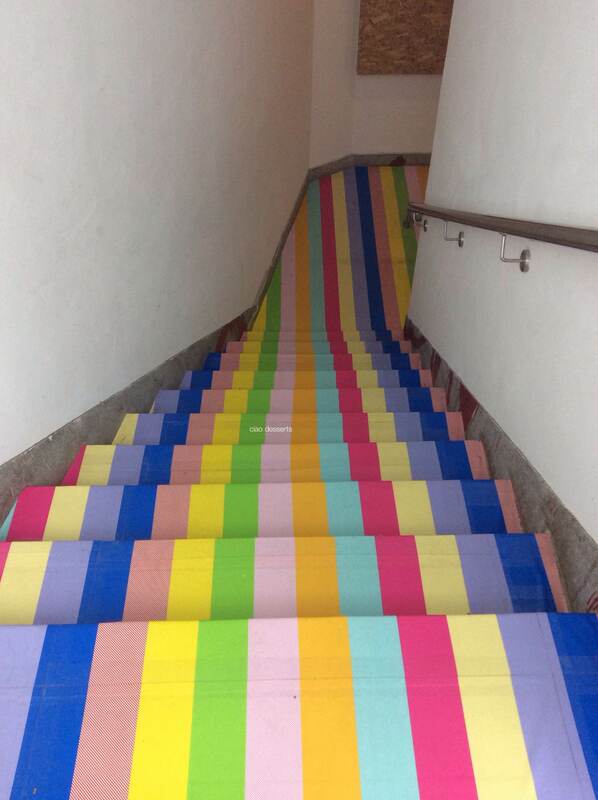 And I felt really uplifted that these otherwise ugly steel and concrete stairs could be improved so much with a covering of washi tape. Downstairs, there is a section for past season, discount tapes. I found a few rolls here that I will use for basic labeling and gift wrap. 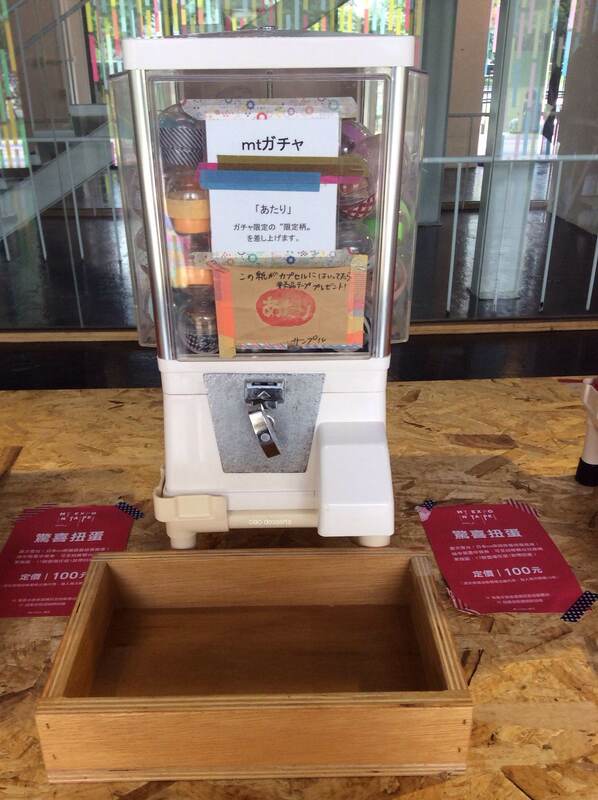 There are also washi tape gum ball/ vending machines. 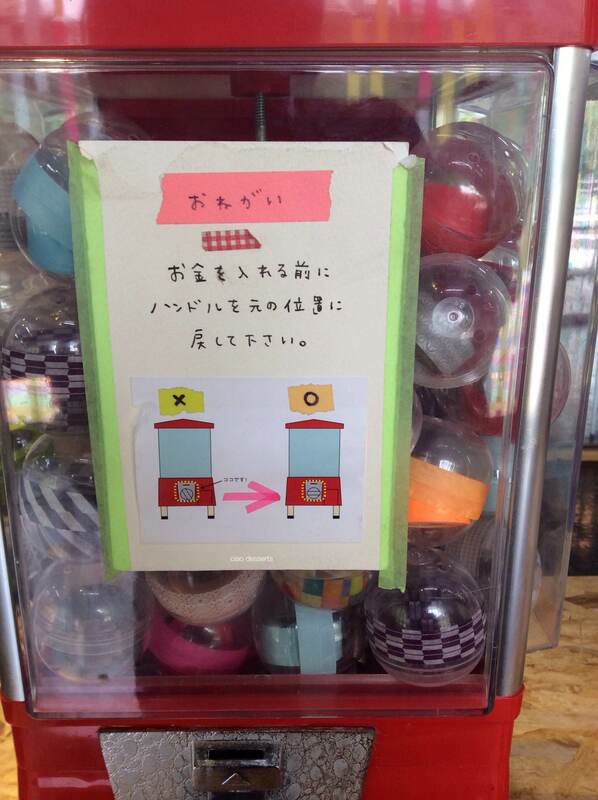 You can pay for a token at the cash register, and try your luck. I have notoriously bad luck when it comes to chance, so I decided to just admire the cute Japanese writing and tape color combinations on the machines. 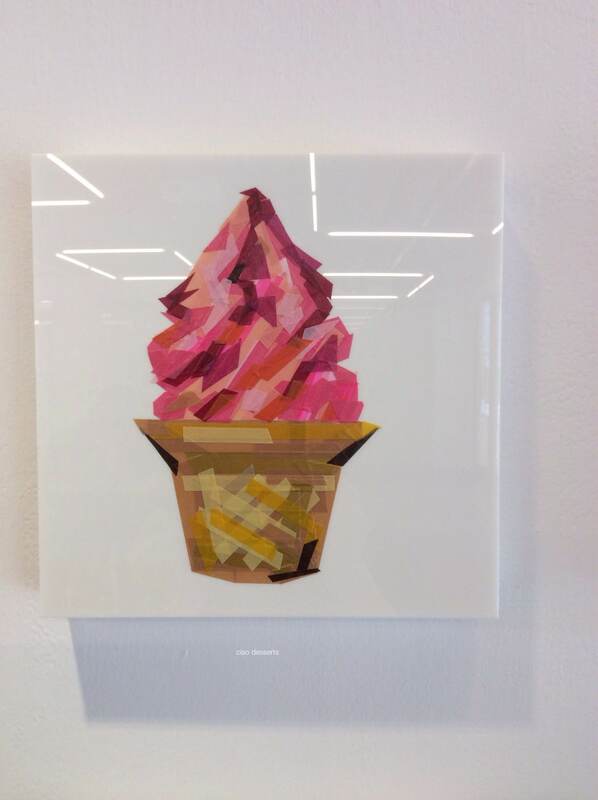 There is also a wall of art work made from washi tape. 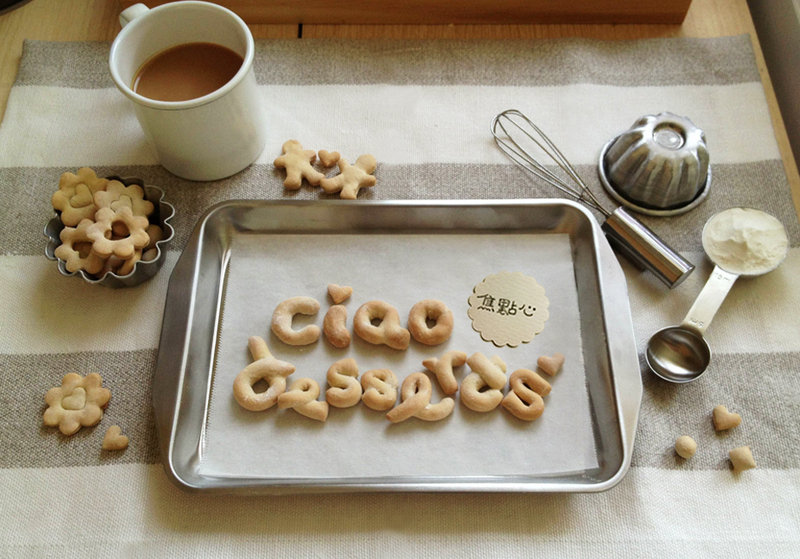 These are examples of items found in everyday life in Taiwan. 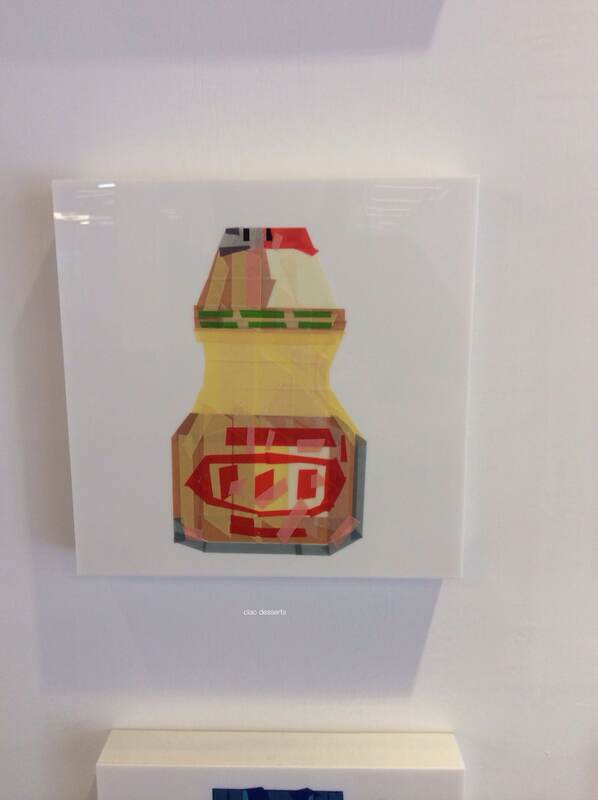 My favorites were the Yakult bottle, soft serve ice cream, and Tatung rice cooker. Lastly, there is a craft area, with free rolls of tape, and card stock. My friends who went to the exhibit said they were super crowded, but again, I was lucky to find a place to sit down and do some decorating. I felt a little bit overwhelmed, so I just stuck a few pieces of tape that caught my fancy, in on particular design or order. Overall, I enjoyed the MT Expo. I’ve heard mixed reviews both from friends and online, about the crowds, or about people unwilling to share or hoarding tapes or scissors, or in the craft area, but I didn’t really experience them during my visit. If you love MT Tape, this is a great opportunity to see a lot of tapes artfully displayed in one place. But, unless you are after specific tapes for your collection, you don’t have to feel pressured to purchase the tapes at the Expo (sometimes the lines at the cash registers get to be long) , because some of the designs are available at Eslite stores and online. I’m really surprised at how precise and meticulous the process is. It involves rulers! But I guess that makes sense, because you really do have to be precise about how much tape is needed to cover “X” amount of surfaces. Watching this video makes me appreciate the exhibit even more. 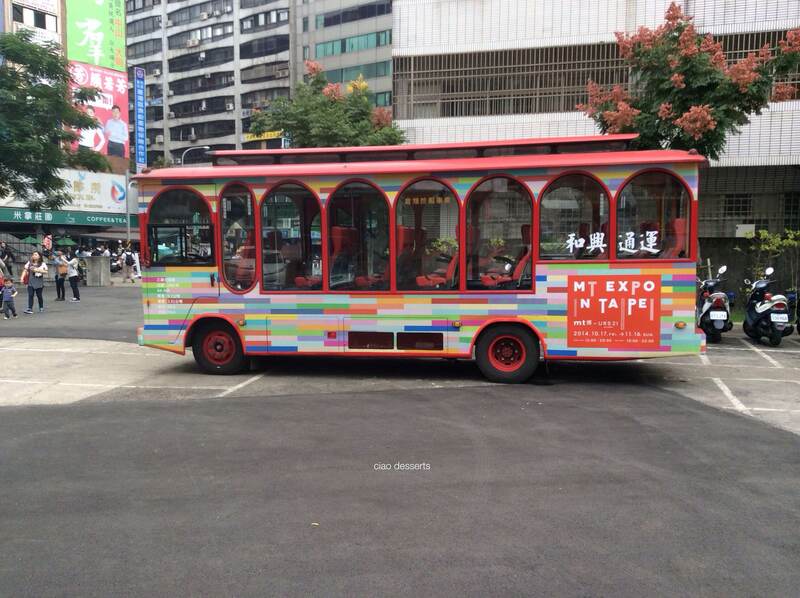 There are a couple more days left for the MT Expo here in Taipei, so make sure to go enjoy it! Update! I received my custom cut tapes in mid February, they arrived in a small white cardboard box, and nestled inside a cloud of bubble wrap were my tapes. The thinnest size is perfect for decorating my Midori Traveler’s Notebook planner pages. 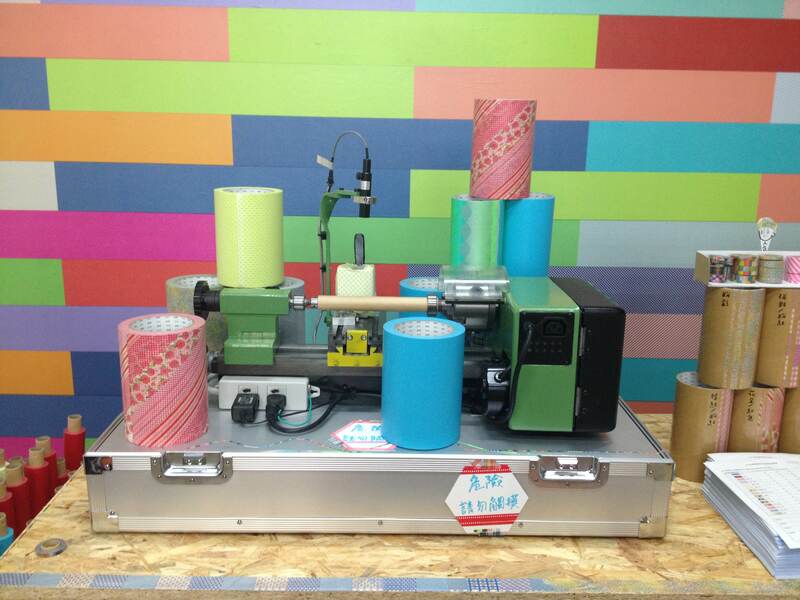 This entry was posted in Uncategorized and tagged MT Tape, Taipei, washi tape. Bookmark the permalink.